Framed between the port wings of a Tiger Moth are these three Hawker Harts of 610 Squadron. Note the squadron badge on the fin of the nearest aircraft, K3881. This Hart was built by Armstrong Whitworth Aircraft Ltd in 1933-4, and at one time served with No 8 E&RFTS. The centre aircraft is Hart Trainer K5895. Note the variety of colour schemes, the nearest Hart being devoid of rudder stripes, the centre aircraft doped in yellow, and the other having an all silver finish. Gloster Gladiator I K6136 of 72 Squadron was part of the initial batch of 23 production aircraft supplied to the RAF in 1937, and was photographed at Hooton in September 1938. Nos 3 and 72 Squadrons were the first to receive the type in service in January 1937. Note the radiator just forward of the cockpit and beneath the centre-section. Gloster Gladiator I K7925 was part of the second production batch of 180 Gladiators supplied to the RAF. 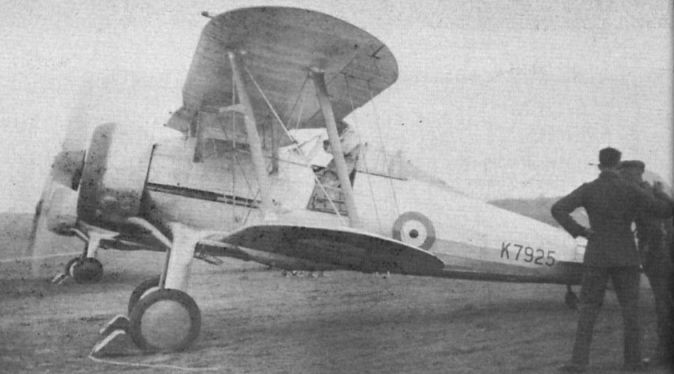 The type was destined to become the RAF's last biplane fighter. 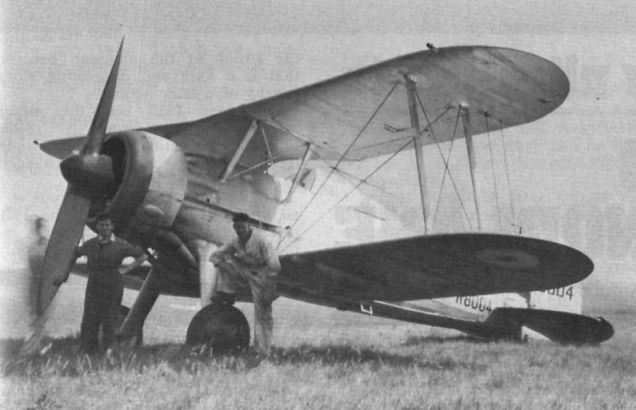 Gloster Gladiator I K8004 of 72 Squadron was part of the second production order and is seen at Hooton in September 1938. Avro 652A Anson I K6234 seen at Hooton in 1938, was part of the first RAF production batch built in 1935. The type was the RAF's first monoplane to have a retractable undercarriage and was used as a general reconnaissance aircraft. Avro Anson I K6301 was visiting Brough in January 1938 from RAF Leconfield and overshot. It was part of the second batch of RAF production aircraft. 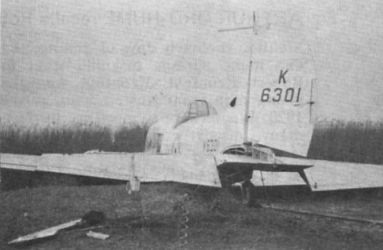 The Avro 621 Tutor is wearing the dual identity K3387 and K3311, a common occurrence with training aircraft when parts were often interchanged. This Tutor was a 610 Squadron aircraft and is seen at Hooton. Note the blind flying hood folded down behind the rear cockpit. Framed between the port wings of a Tiger Moth are these three Hawker Harts of 610 Squadron. The engineless Armstrong Whitworth Atlas (DC) K1195 was photographed at Hanworth in 1931. 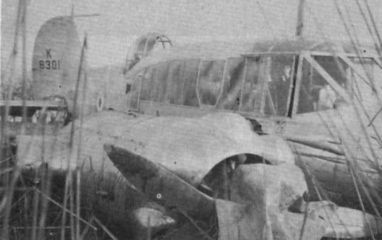 Note the damaged port aileron. The first Atlas flew in May 1925 and a total of 499 was built. 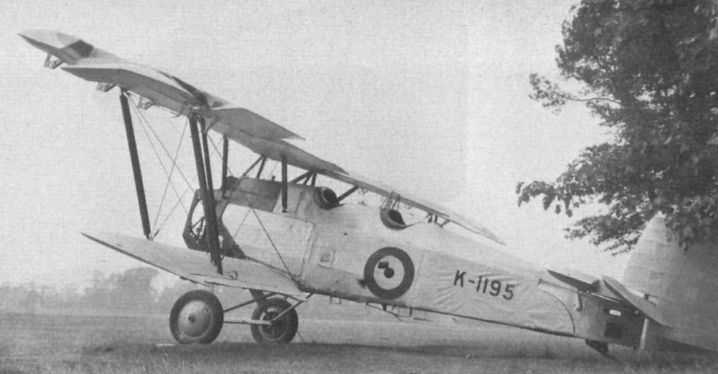 Used in the Army Co-operation/advanced trainer role, the Atlas was eventually superseded by the Hawker Hart.